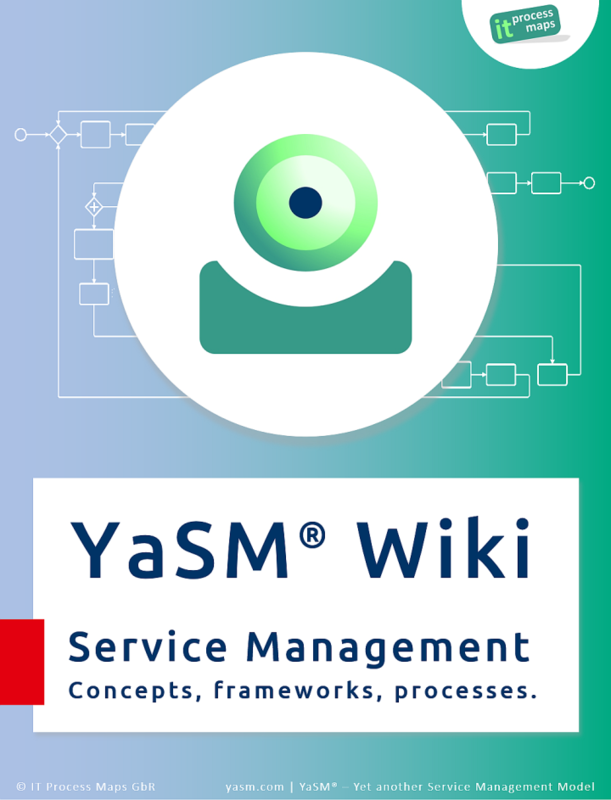 The YaSM Wiki provides a complete overview of service management according to YaSM®. It is the ideal starting point if you would like to learn more about Enterprise Service Management, ITSM and service management in general. YaSM incorporates the key principles of other service management frameworks and standards such as ISO 20000, CMMI-SVC, USMBOK and COBIT - and it is particularly well aligned with ITIL® so that everyone well versed in ITIL will instantly feel at home.